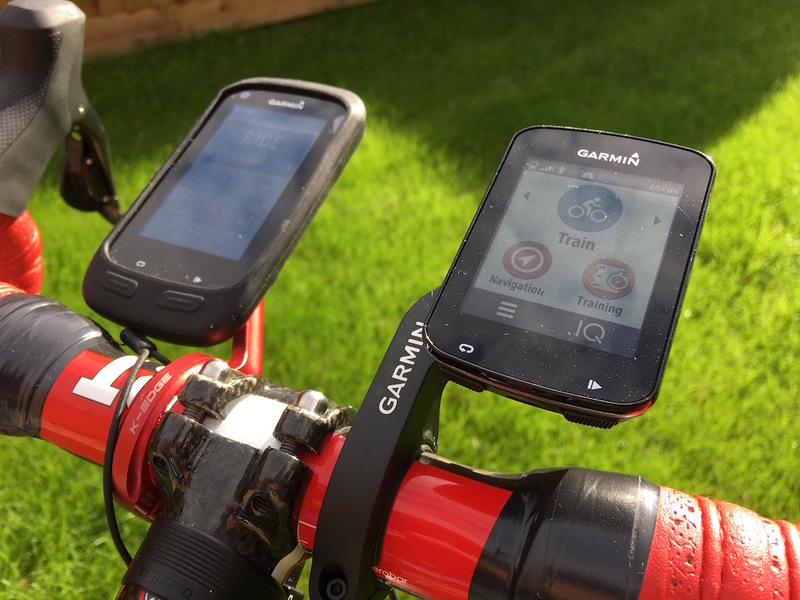 Before we get any further into the Garmin Edge 820 review, I think it’s vitally important to highlight that there are TWO Edge 820 units available, with very similar names; the Garmin Edge 820 (reviewed in this post) and the lower priced Garmin Edge 820 Explore. 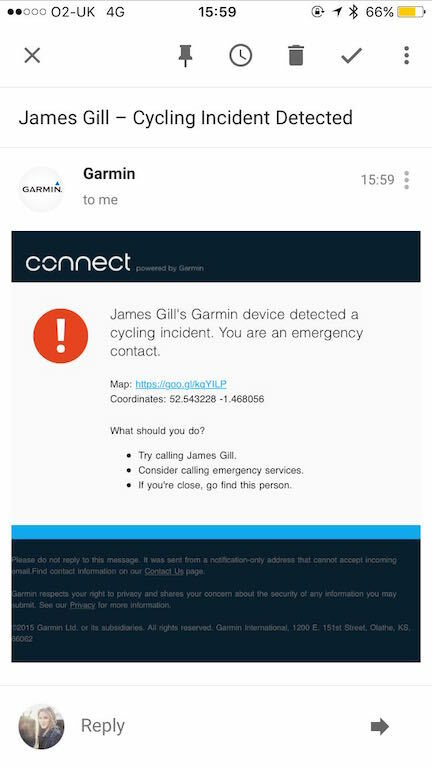 I’m not sure I’m more shocked at the lack of Wifi or the lack of power meter support, talk about intentionally crippling a product! 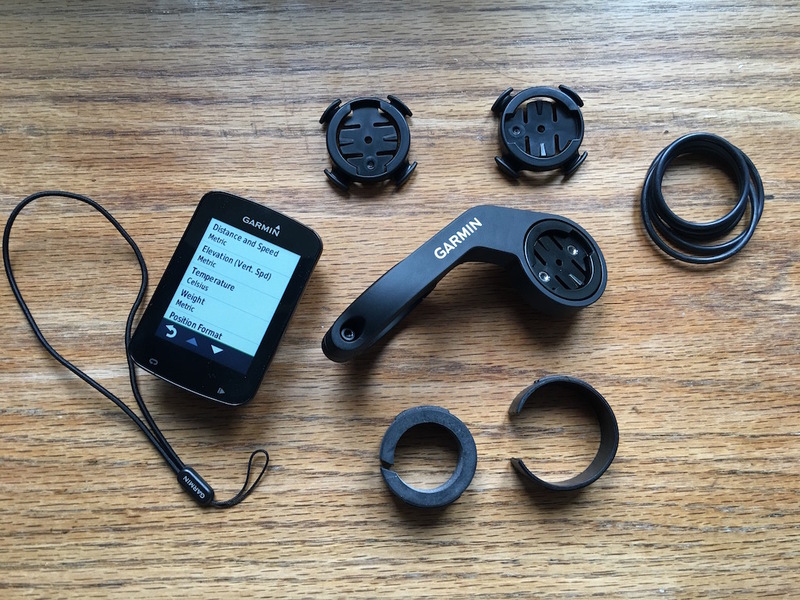 So given we’ve that little distinction out of the way so we can basically disregard the Edge Explorer, let’s take a look at the how the fully featured Garmin Edge 820 performs. 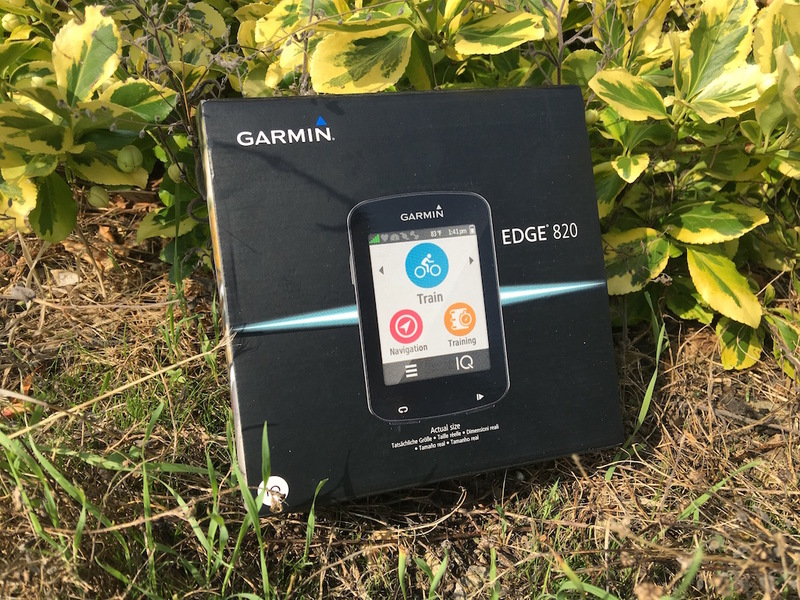 Then look at answering that burning question; is the Edge 820, better than it’s big brother the Edge 1000? 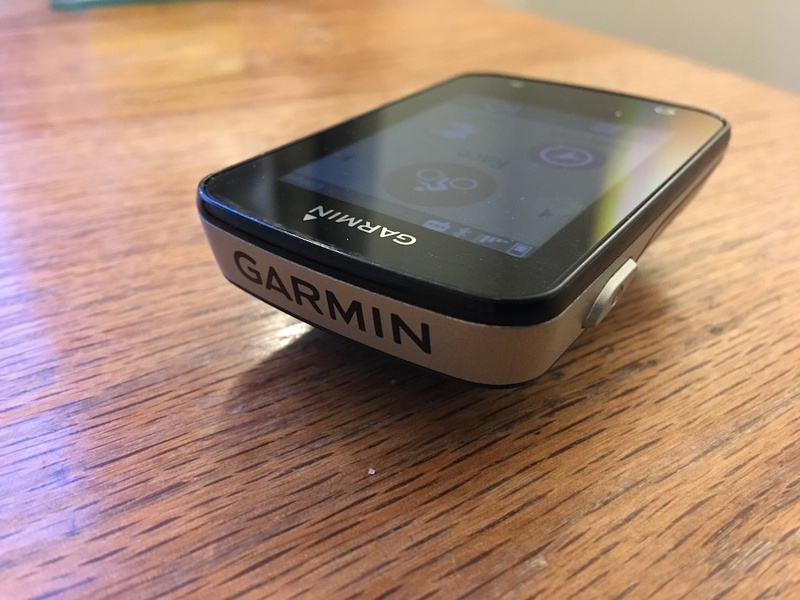 On the back, we have the very familiar Garmin Quarter Turn Mount, inside of which we have the ANT+, Bluetooth and Wifi logos. 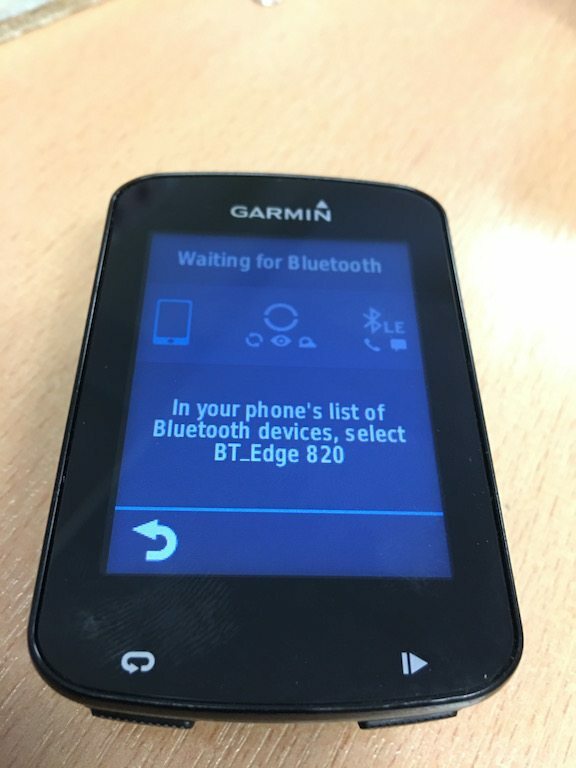 As usual with Garmin devices, the Edge 820 can only receive data from ANT+ sensors, but can communicate with your phone via Bluetooth for notifications etc. This new approach makes life a lot easier than before. 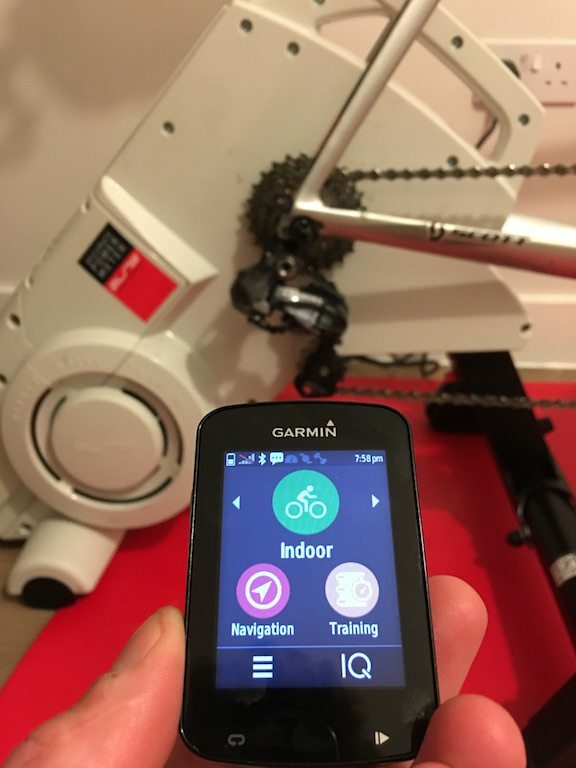 If I’m about to use Zwift, I use the arrows at the top of the screen, to move the centre dial to “training”, which I know will switch off the GPS, conserve battery, and give me a different set of pre-selected activity screens. 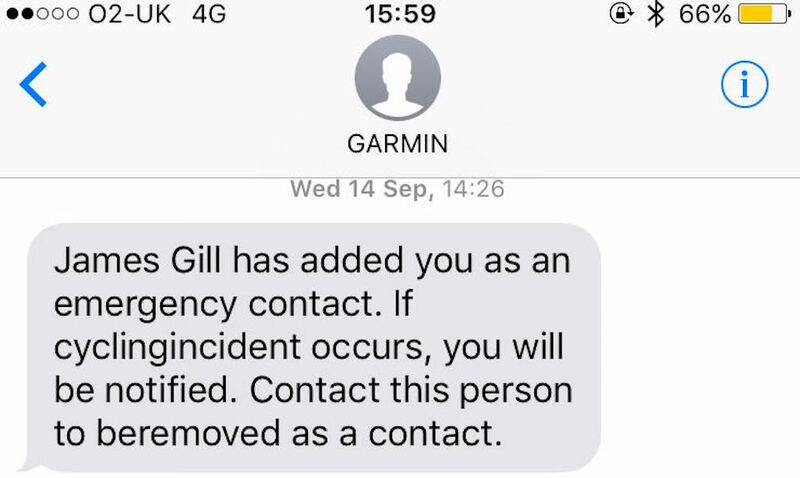 Group Track is Garmin’s version of a live Strava flyby, in the sense you can see which other users, who you have estabilished connections to on Garmin Connect. The idea is supposed to be that your group can form up during a ride. 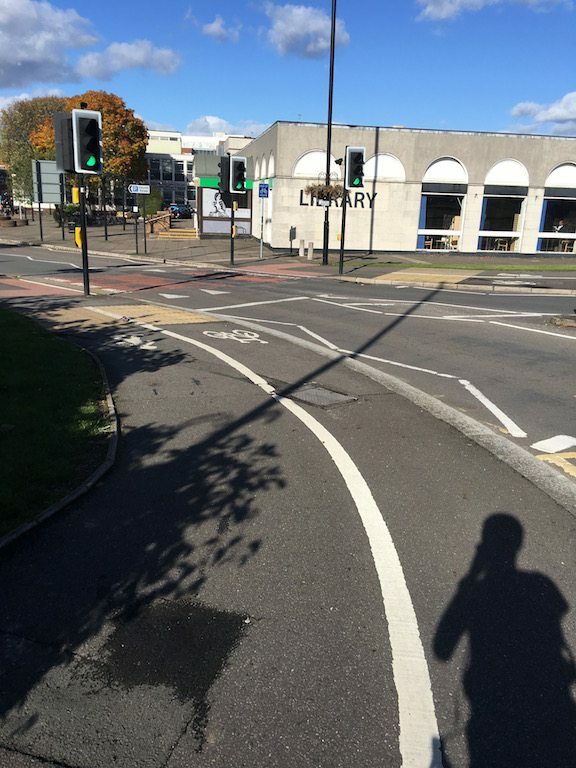 For example, if Derek who is always late, is once again late to the meet point, the group could set off, knowing they are riding in the direction Derek is coming as he is visible on Group Track. Similarly Derek would be able to see the group, and adjust his course accordingly to redezvou with everyone later up. 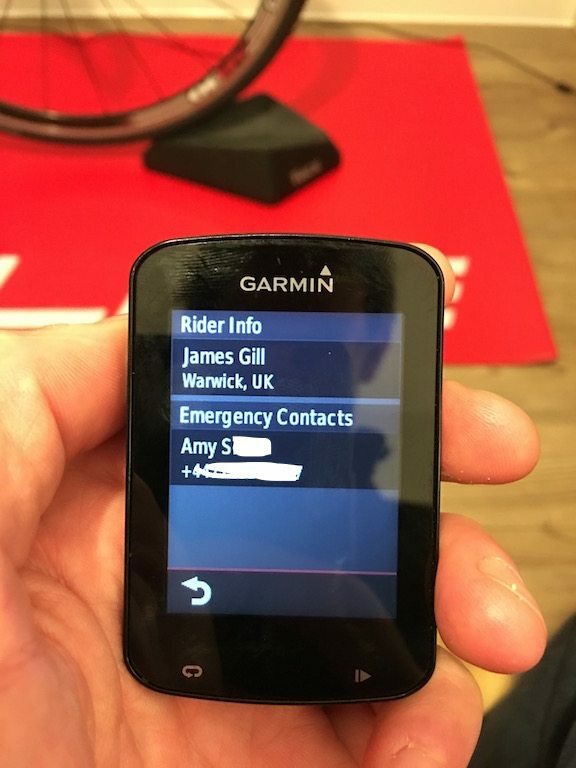 It’s one of those specific Garmin 820 features which only works with other Garmin 820’s currently. As a result I’ve not been able to test. 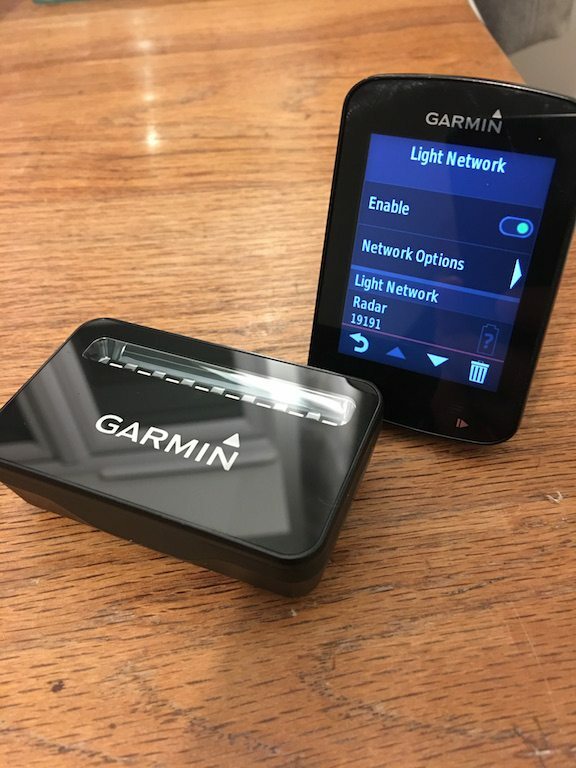 However I personally DONT think it’s a driver for Garmin 820 sales on their own, as it assumes other people will be upgrading at the same time, and have the same device needs as you, in order to choose the 820. 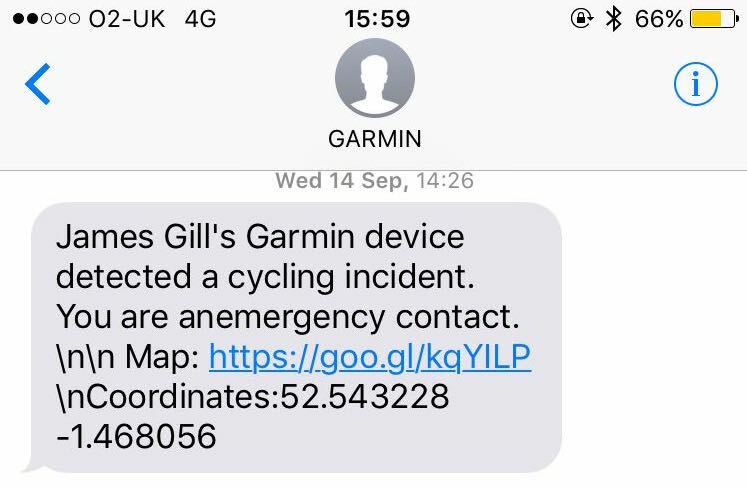 I think it would be a MUCH bigger driver for Garmin over all, if this update was available for all the current gen Edge devices – it came to the Edge 1000 at the start of October, hopefully it will spread down the entire range, I’d see that as a real drive for people to by a Garmin generally. 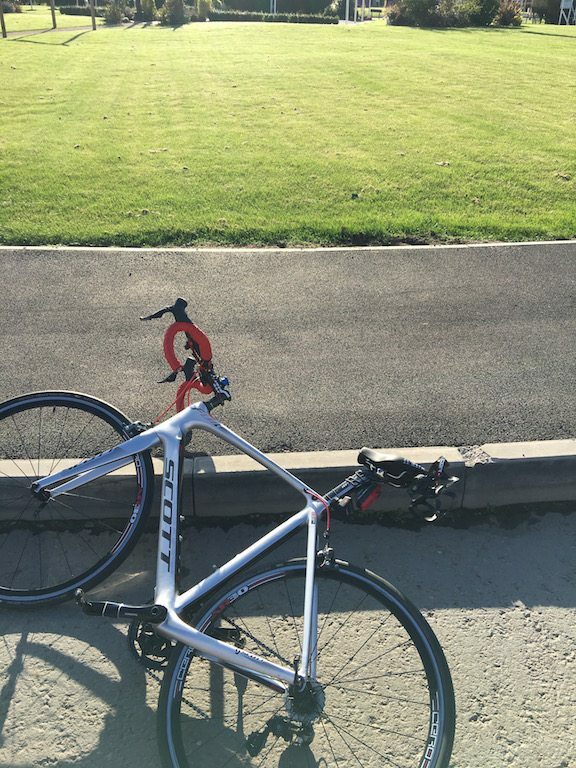 So once you are all setup, what happens if you have a crash? 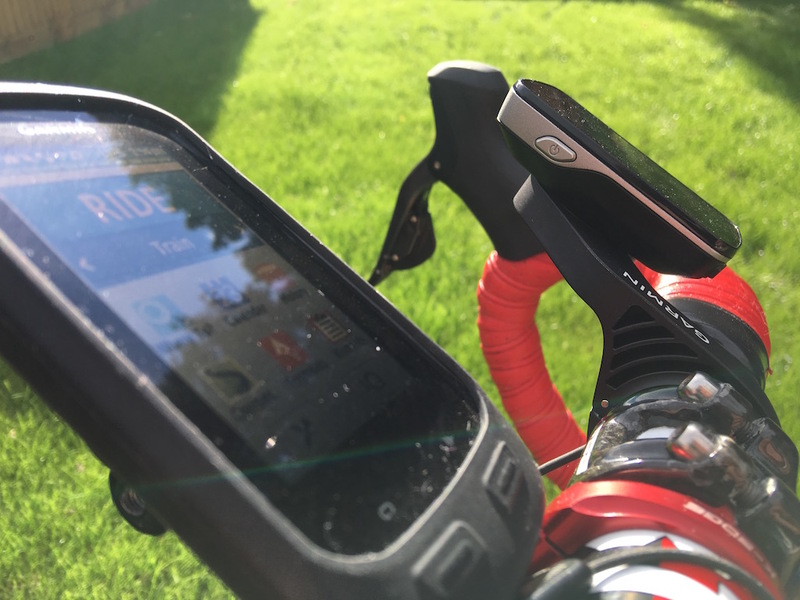 No I didn’t crash, I was out testing the Garmin Edge 820 and saw a nice open, mown, area of grass, so stopped the bike, and hurled the Edge 820 into the grass – which should be a good simulation of stopping with a bump! 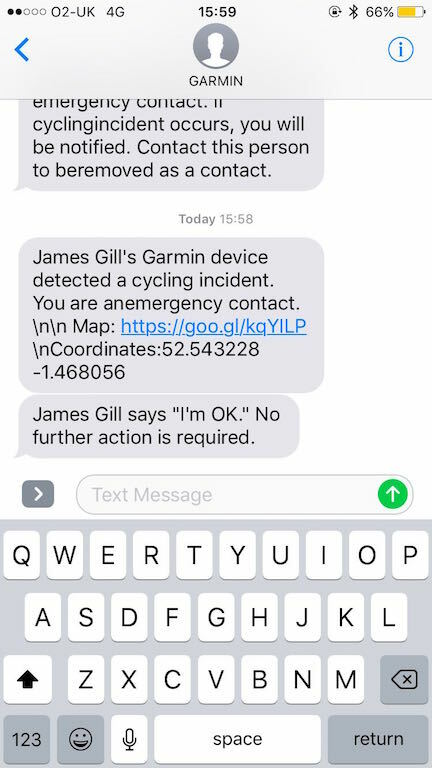 When “a crash” has been detected, the unit starts a quite startling alarm going, and begins to count down from 30 until the emergency notification is sent. 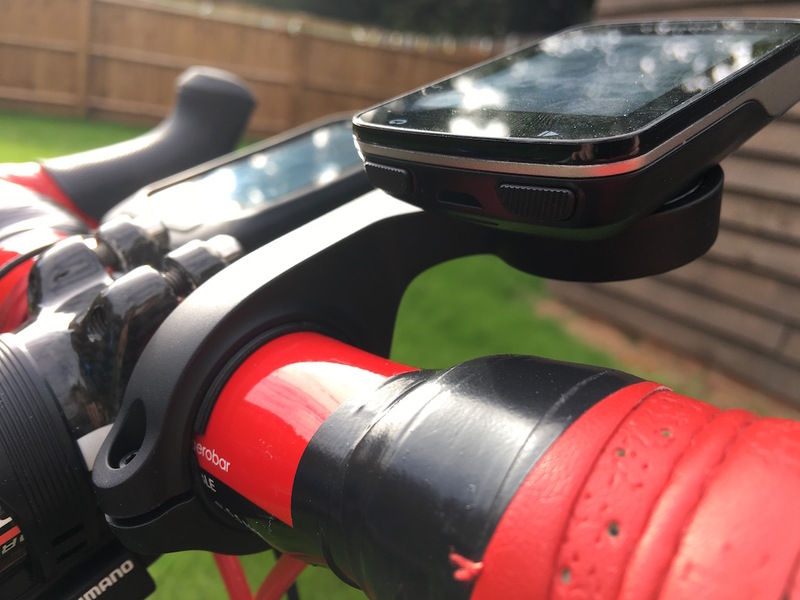 It’s worth noting that like the ICEdot crash sensor, the Garmin Edge 820 still needs access to your mobile, and an internet connection. 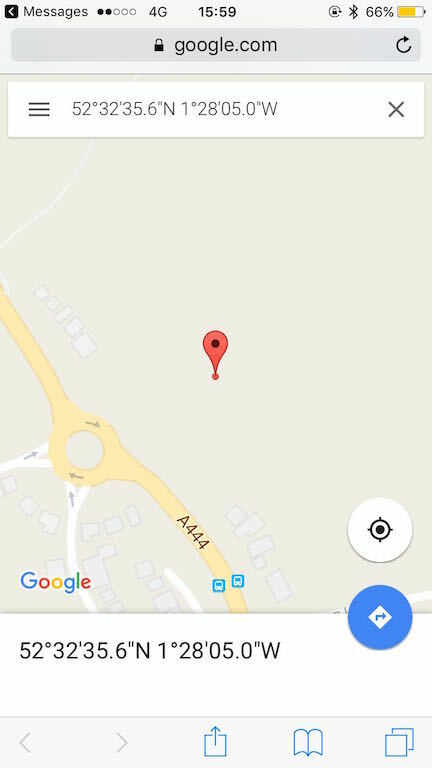 Upshot being if you are in the back of beyond, without signal, you are on your own again! 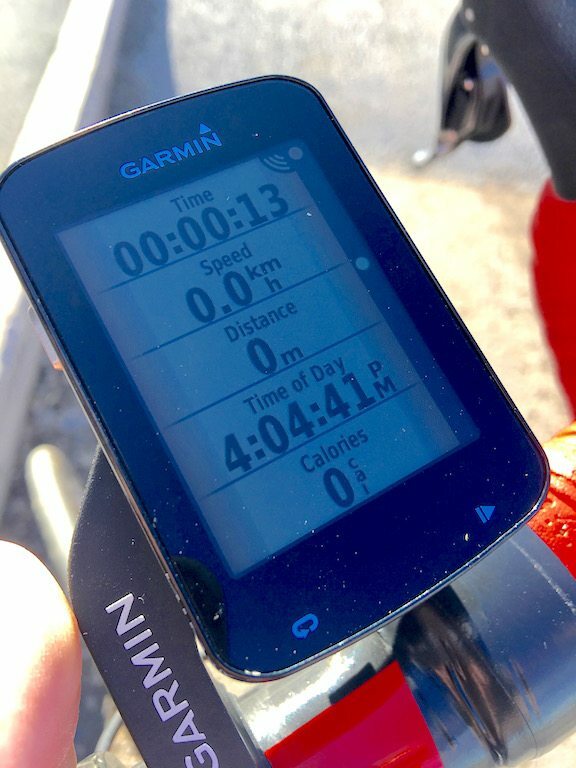 Depending on how far you are going, affects the calculation time. But I found the calculating the 10km route from George Elliot hospital to home, took about 30-60 secs, which I’m not going to grumble at! 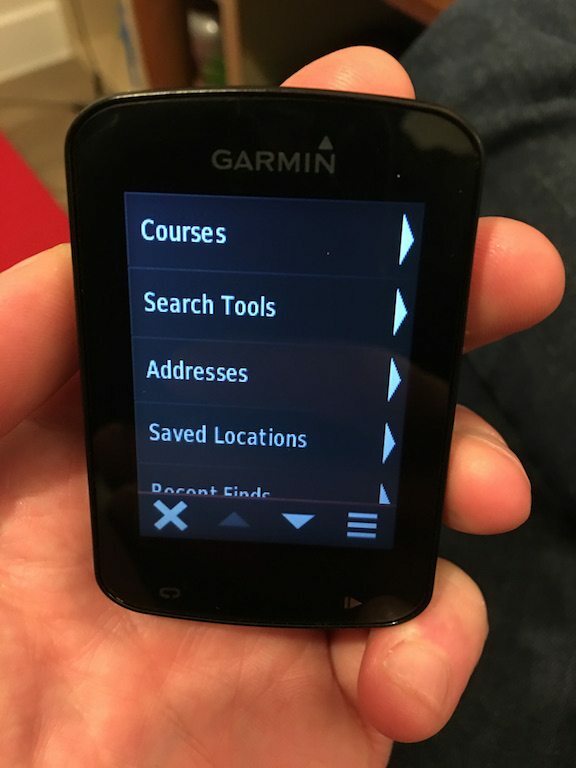 You can also get navigation popups, which appear on screen if you are using an alternative data screen. 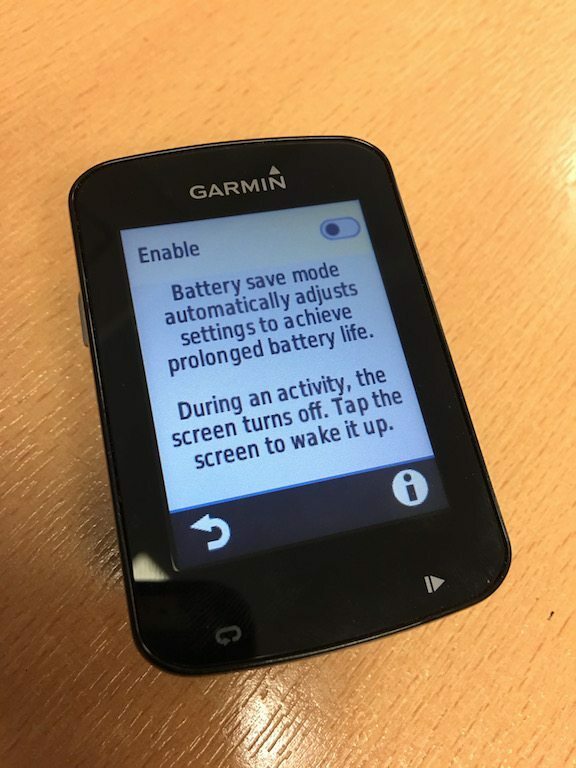 The battery life on the Garmin Edge 1000 has always been slight variable. 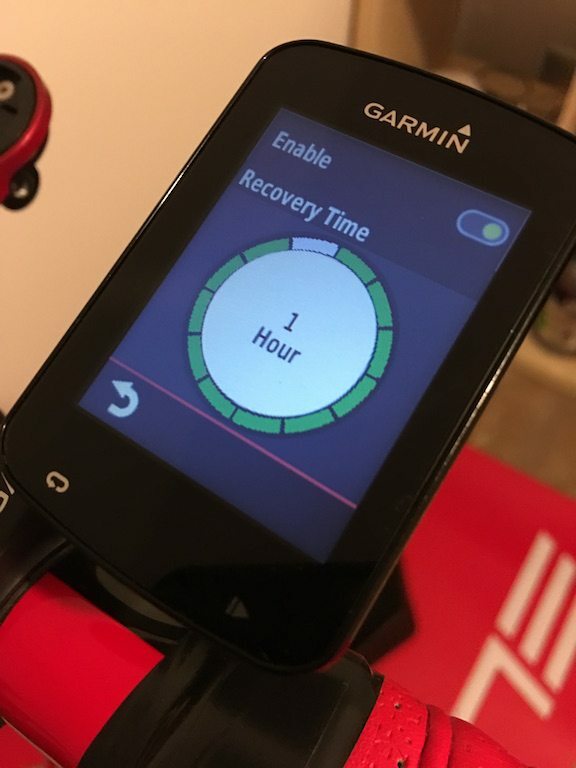 Personally, I’ve never had an issue, but some people have had difficulty eking out over a 12hr ride. However I am demonstrably not a fan! 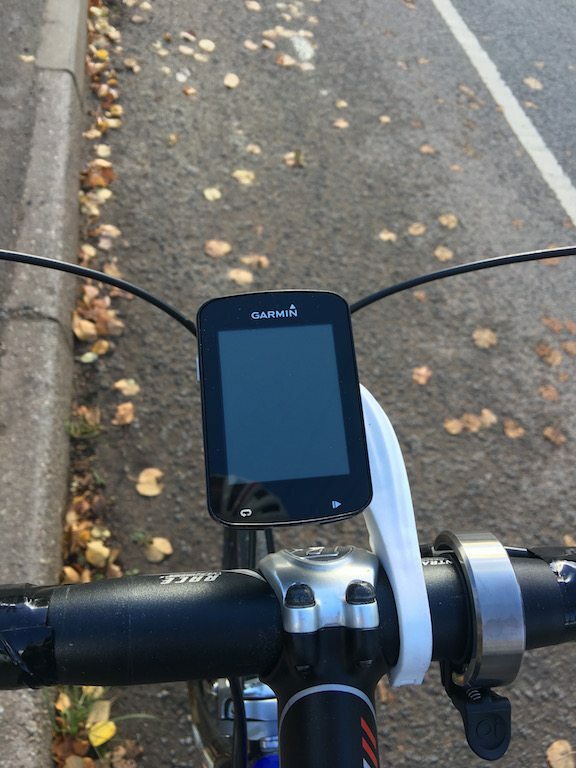 Garmin has decided that in order to increase battery life by 50%, one of the most energy consuming features is the screen, and so switches it off after you have started riding – BUT THEN MY SCREEN IS OFF!! 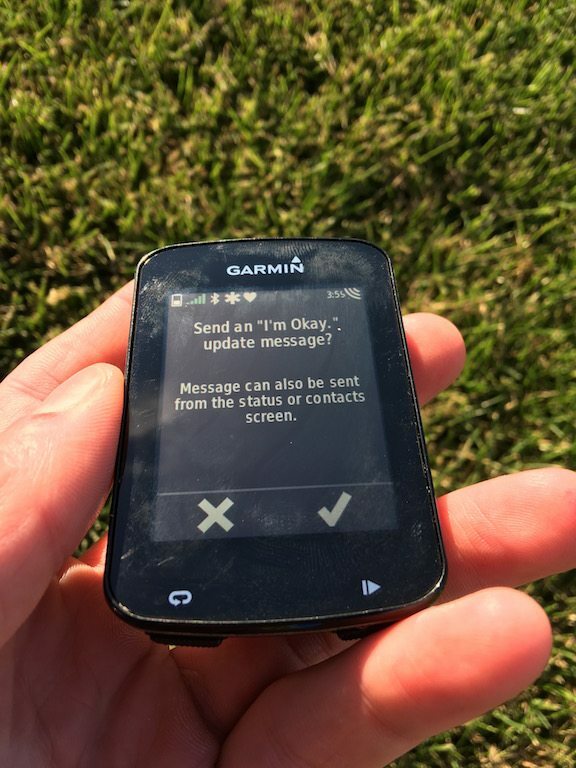 The screen will still switch on to alert you of directions if in navigation mode, or if you get a smart message from your phone, but frankly, I’d be better off just using a phone app stashed in my back pocket. 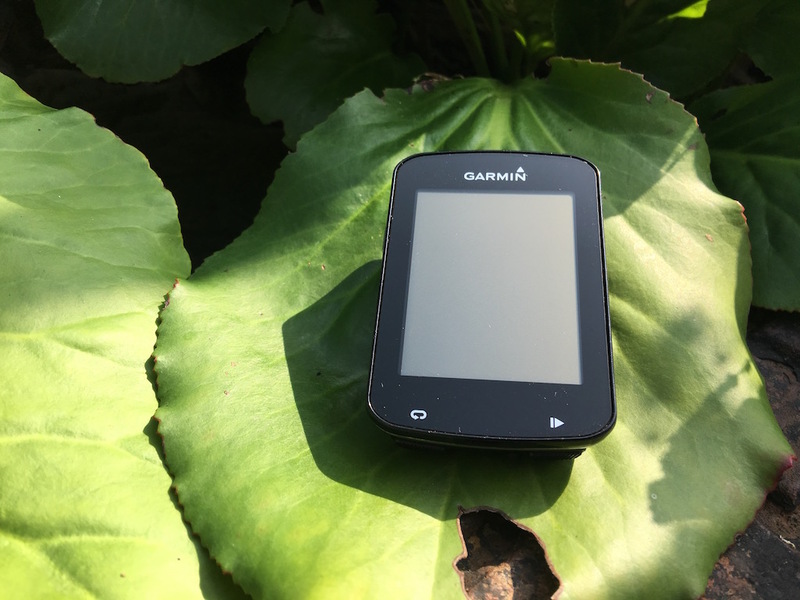 When the Edge 820 was launched the screen was soooo sensitive, it could be used in the rain, or with gloves. 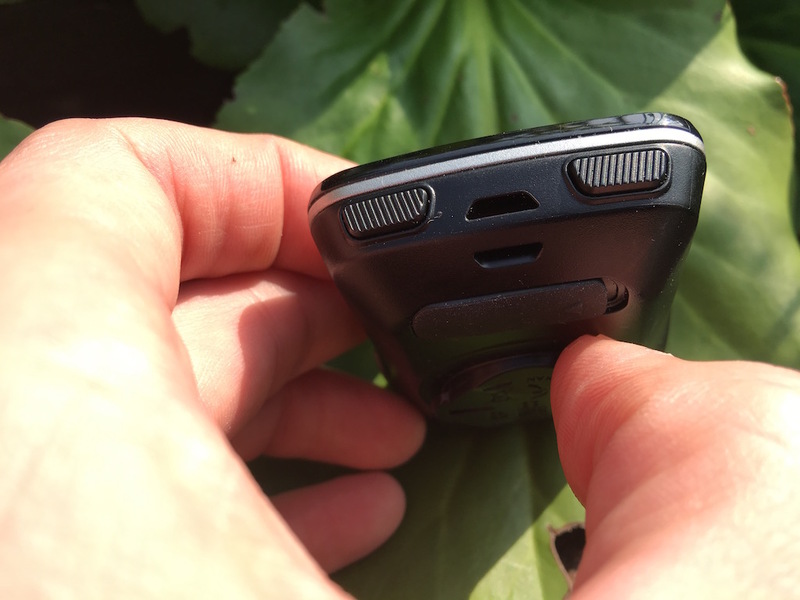 However, you could also wave your fingers over it, and have the device register touches – which could also be really irritating, when adding names of sensors etc. 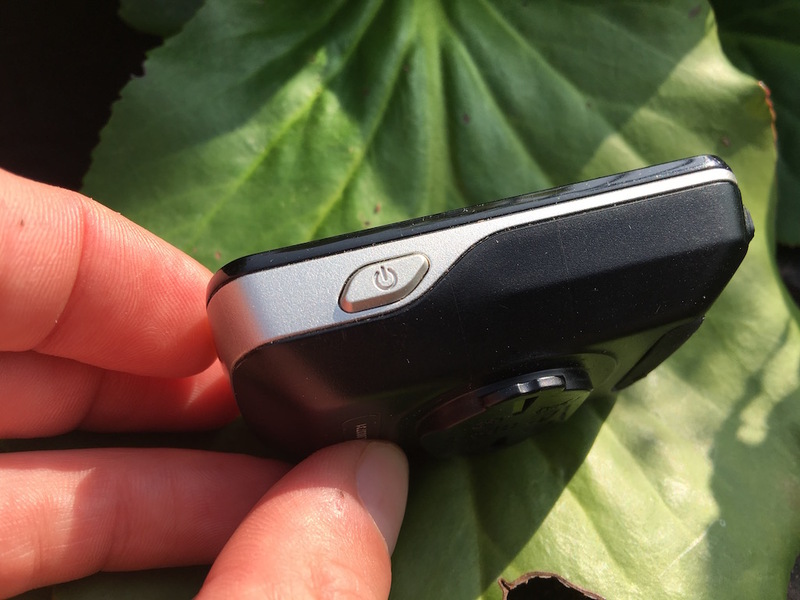 To put it simply, the Bluetooth on the Edge 820 just works. 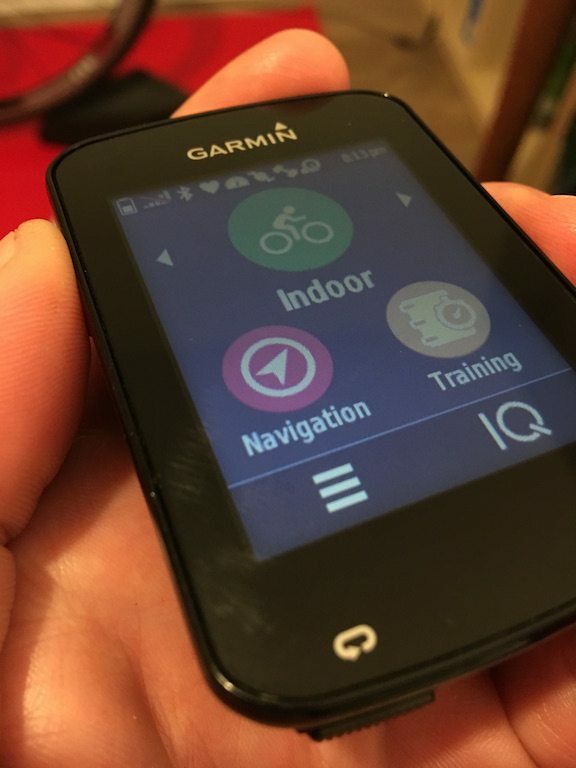 When the Edge 1000 first was released, smart functionally didn’t work for many people. 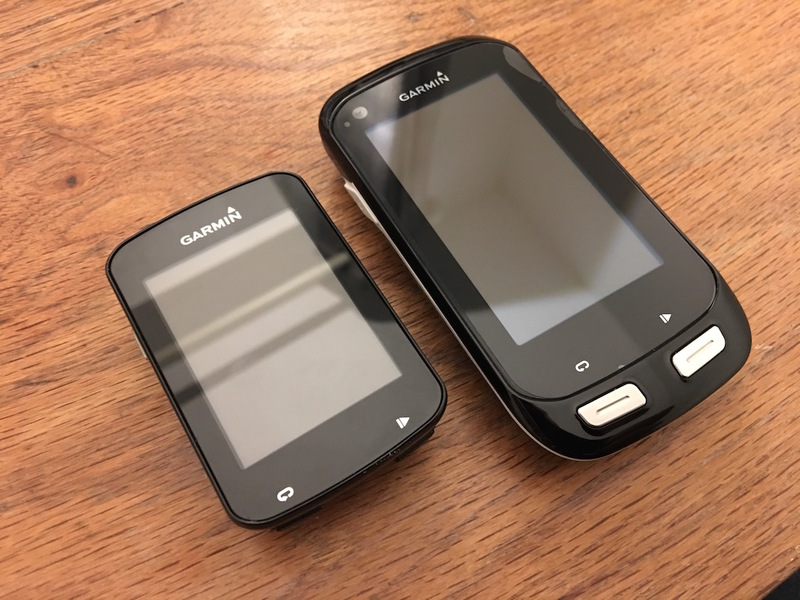 I had two different devices over about a year, and still it never functioned properly. 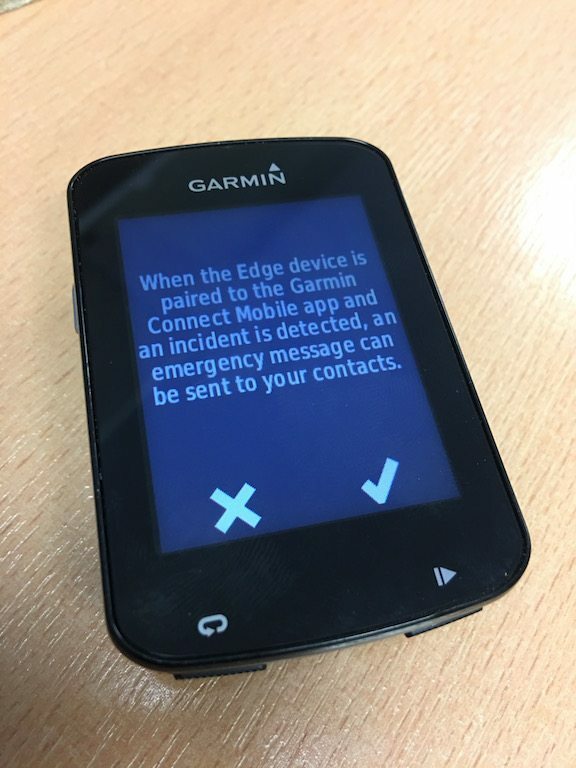 This was something I was interested to see functioning, as on the Edge 1000, you have a massive screen to display the alerts on. 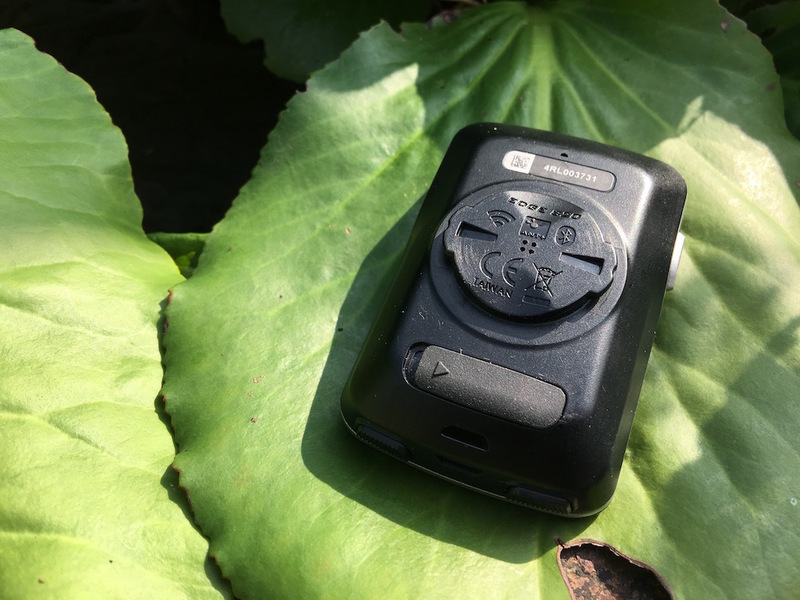 However over the year or so I’ve been riding with the Varia radar, I’ve found the audio alert to be the most effective part of the radar network. 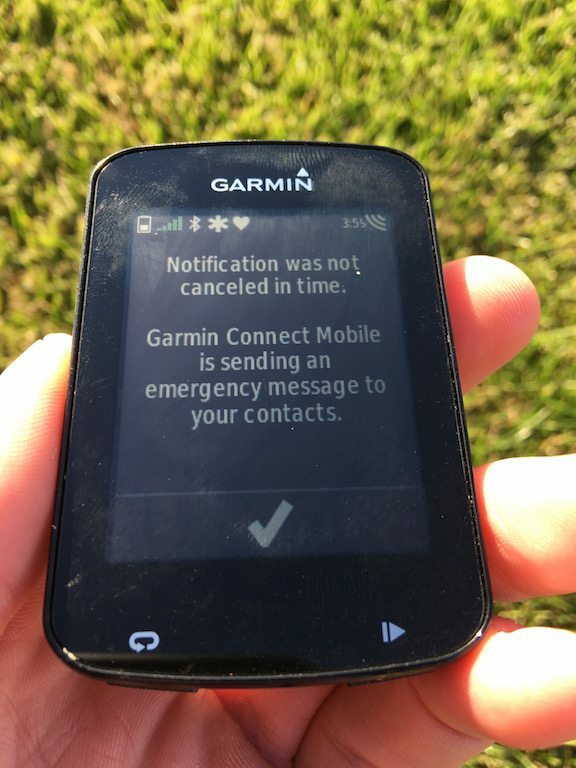 The alert triggering me to then look at the screen. 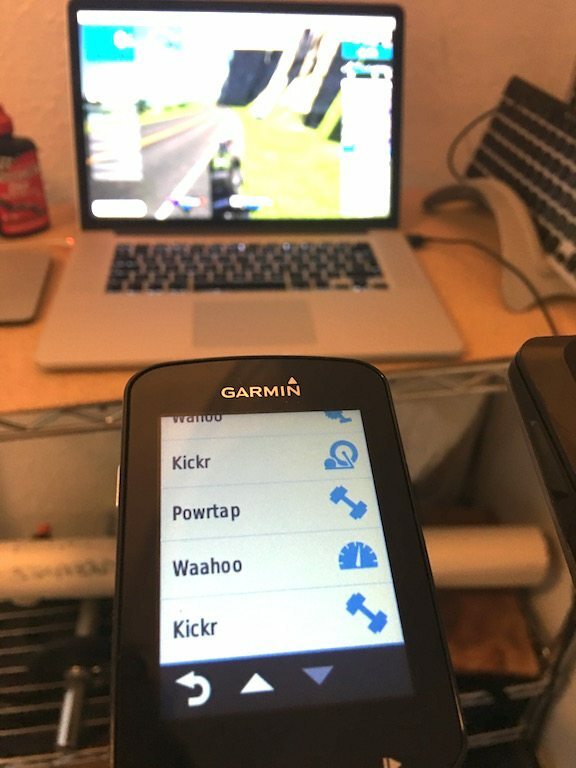 Thus you are able to pair the Edge 820 to your Wahoo KICKR or Elite Drivo in case you wanted to take control of your power for personal training rides on Zwift. 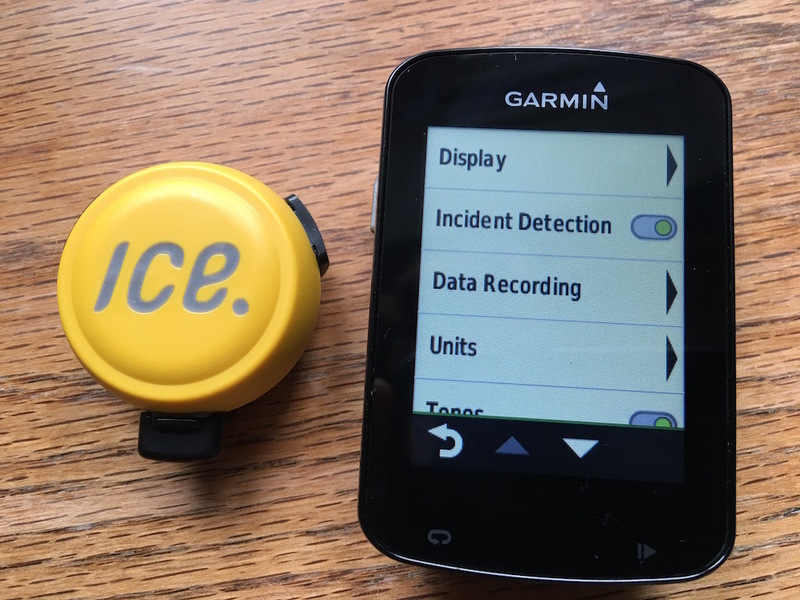 The ANT+ FEC also means that the Edge 820 is able to accurately record power, speed, and cadence if your trainer is able to broadcast them. 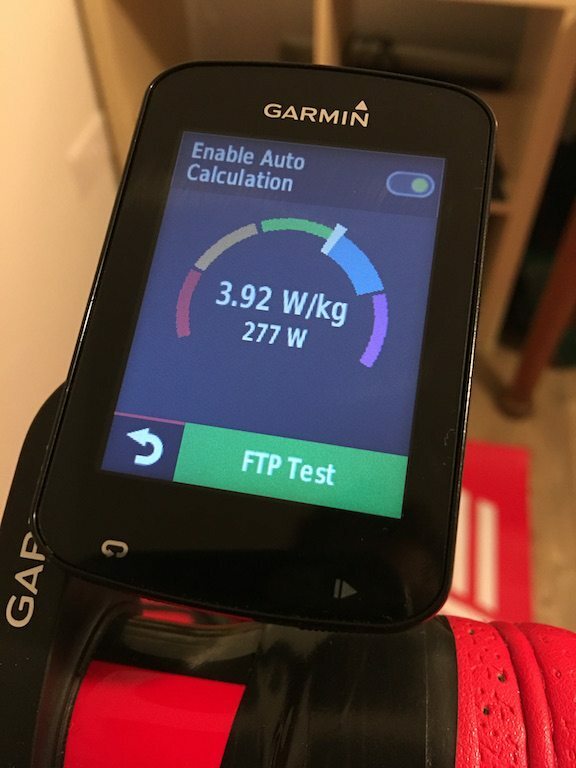 This then allows the cycling metrics within the Edge 820, to get an accurate picture of what efforts you have actually put in on Zwift, and appropriately record things. To be honest there is nothing majorly new here. 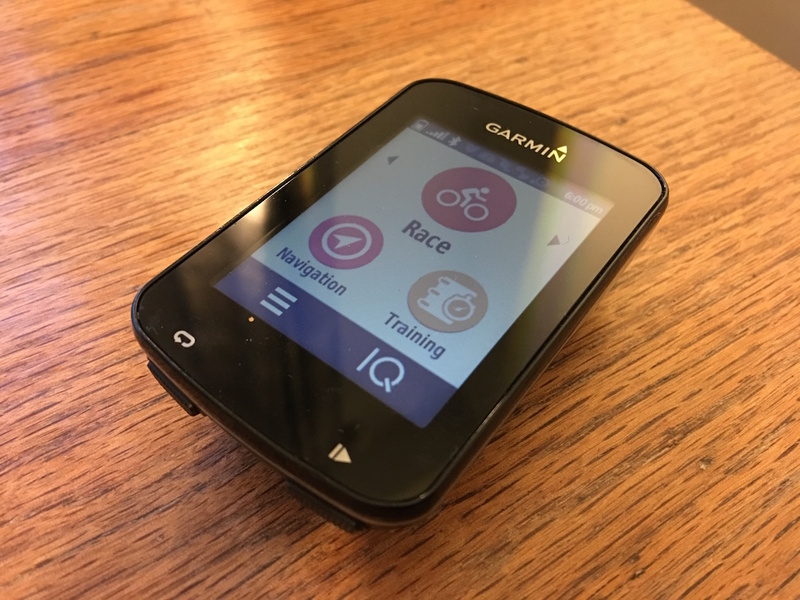 Merely that Garmin have ensured that the Edge 820 is able to calculate and record the similar metrics which have been rolled out on other Garmins with a focus to training and fitness. 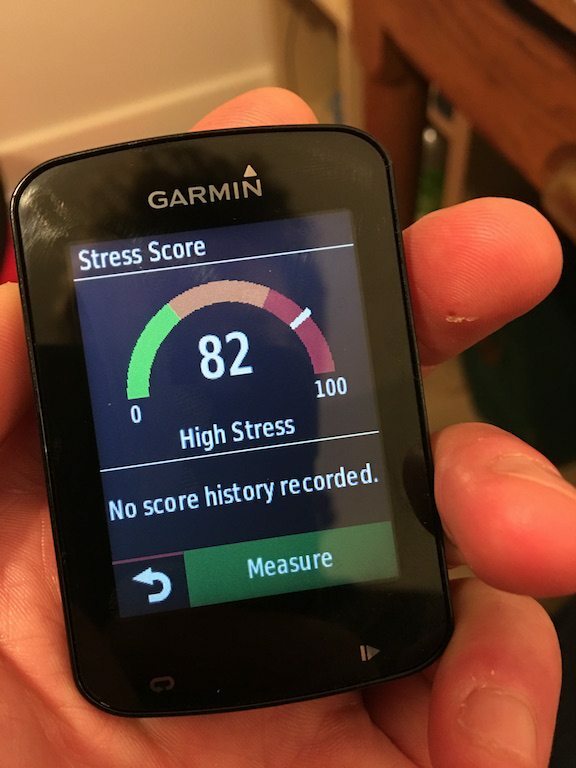 One new feature which has come over to the Edge 820 from the Fenix 3 HR is the Stress Score. You pair your heart rate monitor and have to stand, relaxed for 3 mins. 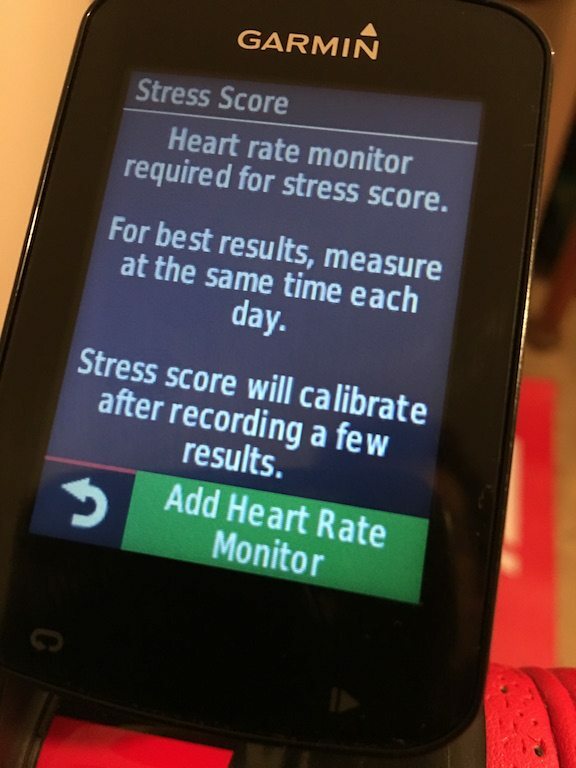 The information will determine the stress levels you are experiencing as a result of sleep, nutrition, and general life. 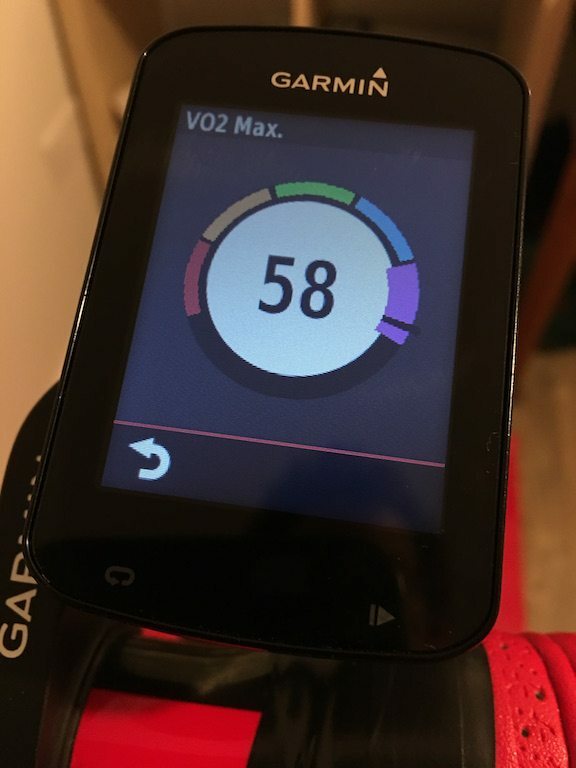 This can also have a big impact on races and training. 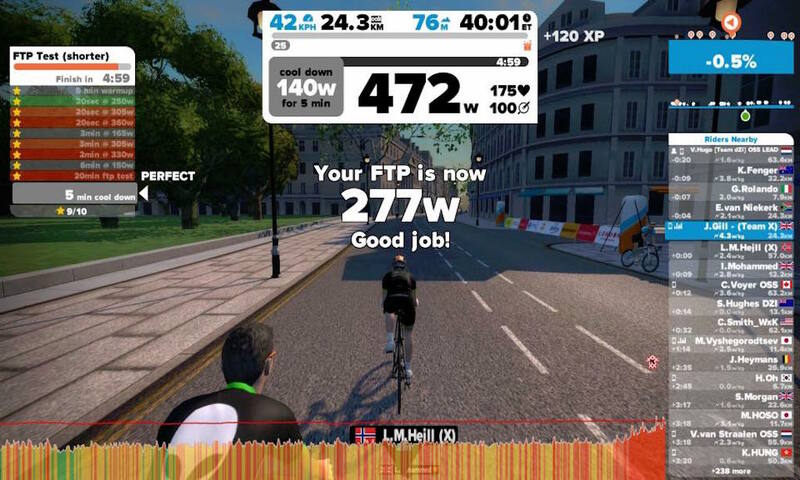 Over time, and with repeated tests, you’ll get an idea of how to improve things – perhaps a few less of the never ending Zwift races! 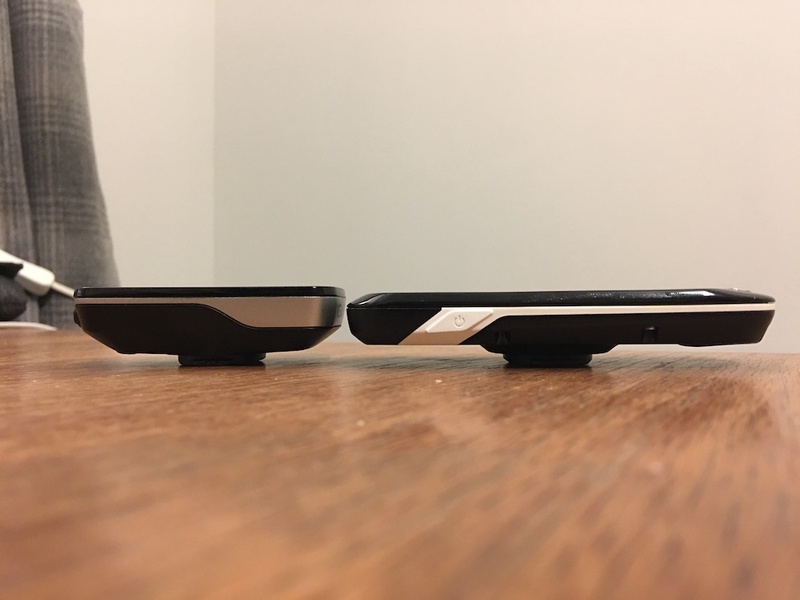 But as I have alluded to, the Edge 820 isn’t perfect. The hypersensitivity of the screen (which has now been fixed) was just down right annoying. The “battery saver” is also a highly irritating feature for me, as it largely renders the 820 into a recording only device – I NEED MY DATA! On screen, NOW! 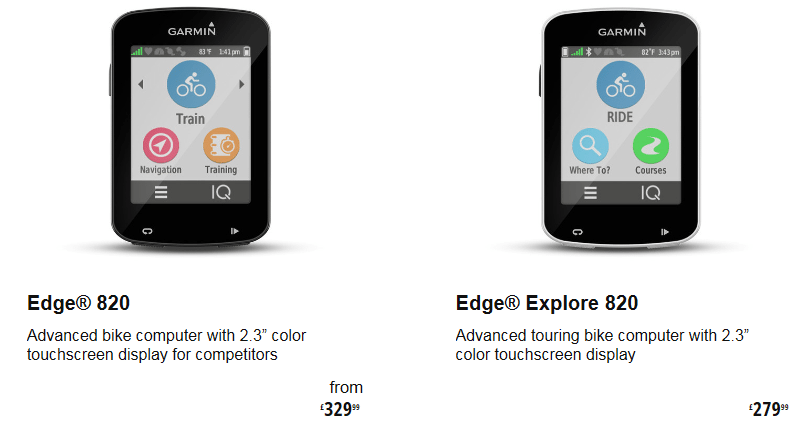 The Garmin Edge 820, is in my mind, the Garmin cycling head unit to buy currently. 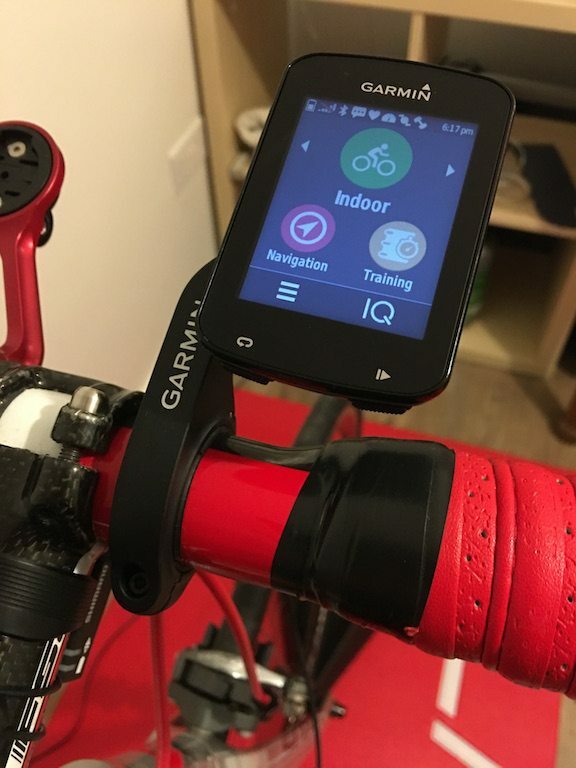 The Bluetooth Smart features just work, it’s more user friendly than the 520, which desperately needed to have been released with a touch screen, it’s more up-to-date than the Edge 1000, and the battery life seems much more capable of surviving a 7-8 hour ride outside without needing to resort to the new “battery saver” mode. 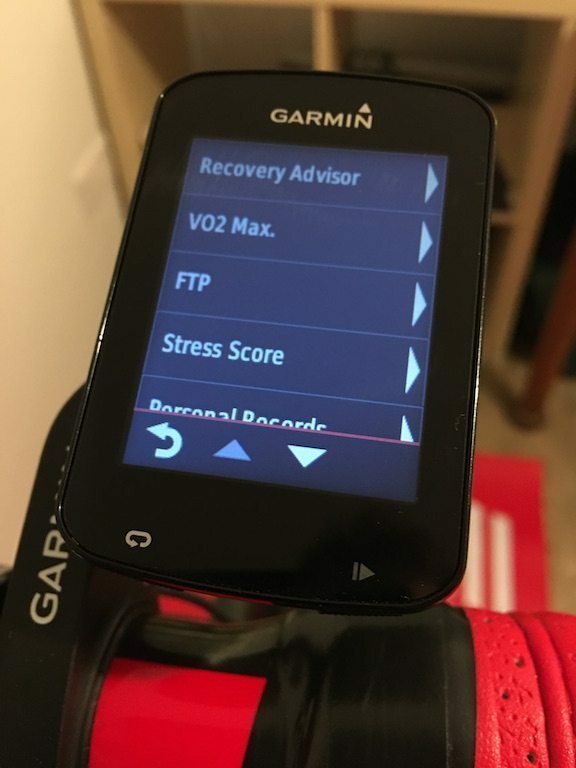 Realistically, for me there is only one thing the Garmin 1000 wins on, the larger screen real estate, and I’ll let you decide how important that is to you. 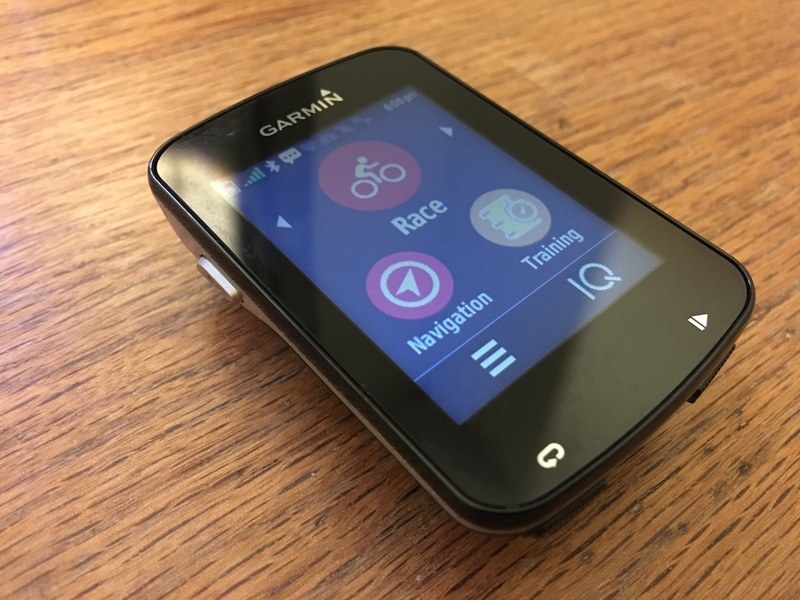 The Garmin Edge 820 reinforced my opinion of Garmin as a company. 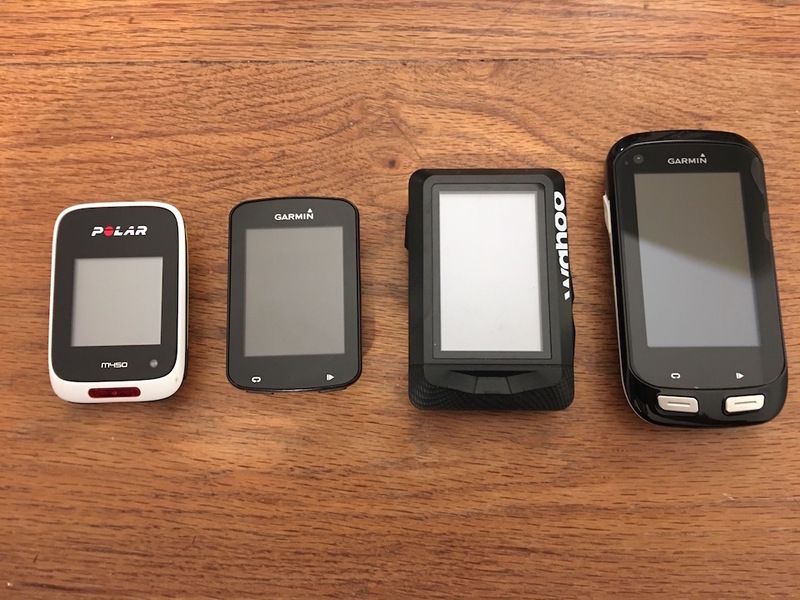 They make truly great devices. 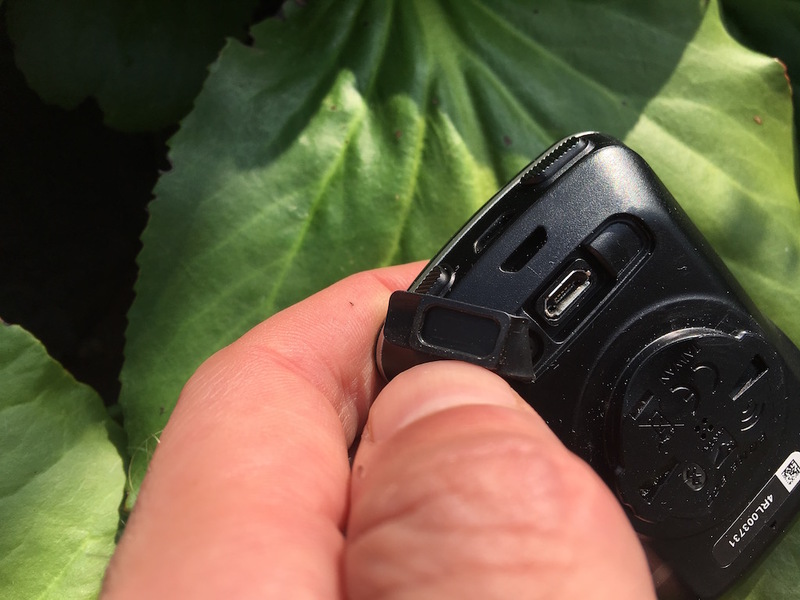 But also so surprisingly bad ones – see the VivoActive HR. 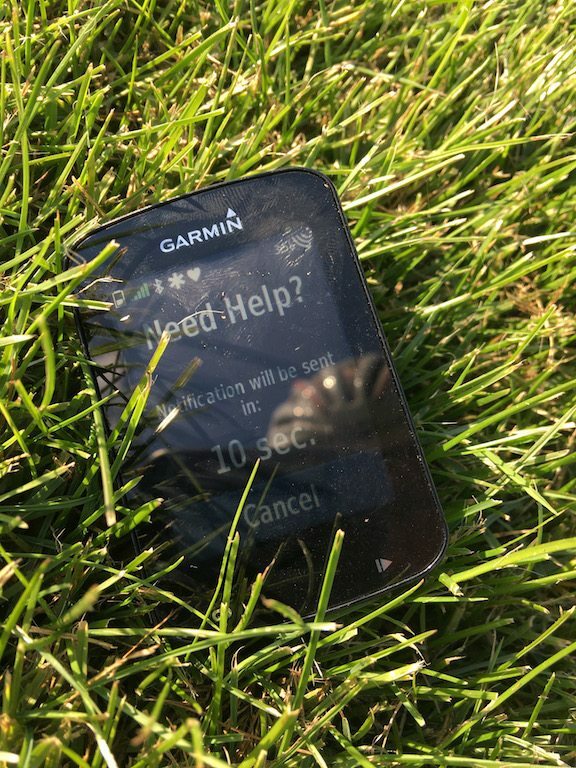 Thankfully the Edge 820 is one of the Garmin gems.